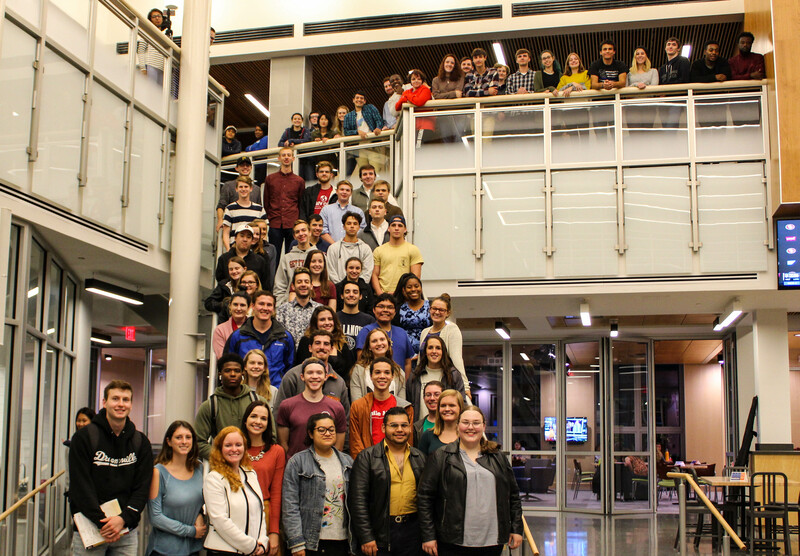 New Members Appointed to Student Senate, Continuing End-of-Semester Agenda | The Gettysburgian. Student Senate’s Monday, November 26 meeting began with a few announcements from President Nick Arbaugh ’20. College Council met for the second time this semester. It discussed streamlining communication throughout the College and fostering dialogue in the community among students, faculty, and staff. Alexandros Economou-Garcia ‘22 has been appointed as Senator for the Class of 2022. Sydney Quan ’22 has been appointed as the Public Relations Chair of the Senate. Treasurer Haley Gluhanich ’19 announced that $37,934 has been allotted by Student Senate so far this year. However, only around $28,000 has been spent, with only $18,000 recorded in money-spent forms. Parliamentarian Abby Hauer ’21 represented a new amendment to the Constitution which states that if a club/organization is de-recognized, the de-recognition lasts for the entirety of the semester. However, the club in question may seek re-recognition the following semester. This amendment has been passed. A second constitutional amendment was proposed, making sure the College’s definition of “diversity” is included in the Constitution to prevent any discrepancies regarding the role of the Diversity Committee and other similar bodies. This amendment also states that base budgets must be requested per semester, not per year. This amendment has been tabled until Student Senate’s next meeting. Gettysburg African Student Association was given a $55.00 reimbursement for its Alumni Social. $160.85 was allotted to the International Club for food for the College’s annual Burg Burst. Student Musical Theatre received $400.00 to pay for the rights for its spring musical, which will be either The Addams Family or Mamma Mia!. Students voiced their opinions on the Health Center being closed on weekends. They feel as though there should at least be limited hours on weekends to provide help to anyone who may be in an emergency situation. Several students are still concerned about the College’s lack of notification about the hand, foot, and mouth disease that recently broke out on campus. They request better communication between DPS, the Health Center, and any other body that may be able to help prevent any future health problems. A student living in Huber Hall expressed concerns about mice in their room. Facilities has put mouse traps around the student’s room, but the student feels as though the problem has not been fully taken care of. The next and last Student Senate meeting of this semester will be held Monday, December 3.